Last week I started working with an elderly client. “Mary” is in her seventies and she was diagnosed with celiac disease several years ago. More recently she’s been also diagnosed with irritable bowel syndrome (IBS). She has no energy and has gained quite a bit of weight in the past few years. She was told to go gluten-free when she was diagnosed with celiac but was given no help by her doctors for how to do that. When I looked at Mary’s current diet it was full of heavily processed gluten-free boxed foods like gluten-free crackers, cookies and baking mixes. She was drinking two sodas per day for energy and she was eating lots of poor quality low-fat foods. Mary has a huge fear of fat and cholesterol. Her husband is on a doctor-prescribed low-fat, low-cholesterol diet. She does the cooking for him as well as other members of her family. She feels exhausted by cooking. Working with elderly clients like this can be extremely challenging. They’re often very set in their ways and have physical limitations. Dietary changes are not easy for many of them. Any time I’m working with an elderly client, I start by asking them what they ate growing up. “Ummm….hog what?” I said to Mary. I don’t know about you, but hog maw sandwiches were not in my lunchbox growing up (though there were lots of bologna sandwiches). But then again, I did not grow up in Pennsylvania Dutch Country. Mary became quite nostalgic as she started rattling off the foods of her youth. There were potato dishes, vegetable dishes, sausages, sauerkraut and a wide variety of meat dishes. I love listening to older folks speak with such warmth and fondness for these foods. I could hear in her voice how she longed for these foods and missed them not just for their taste but for their connection to a simpler time. After talking with Mary, I was curious and wanted to learn more. Click here for a small sample of traditional Pennsylvania Dutch food. 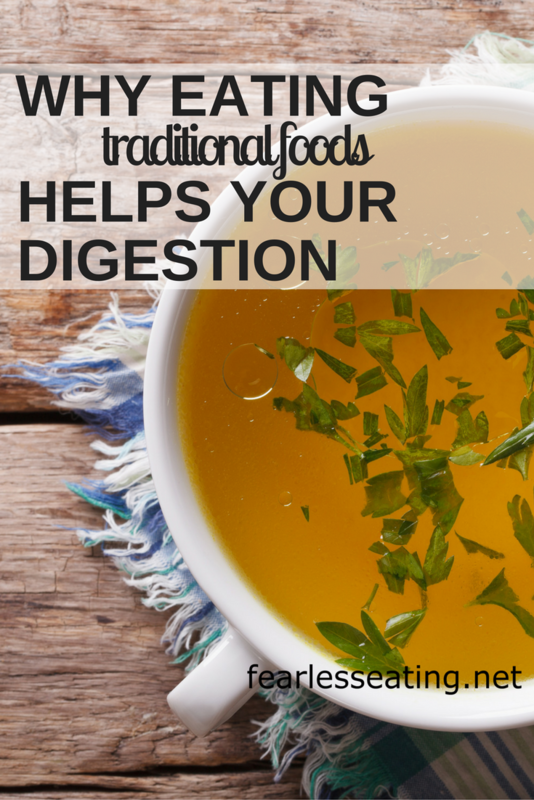 Mary told me that none of her relatives had celiac disease, food allergies, GERD, IBS or any of the dozens of digestive problems that are now commonplace. What always amazes me most is not that the elderly have moved away from the foods of their youth. After all, we’re all a part of this great industrial food experiment. What amazes me is the extent of the conditioning to which they’re afraid of the foods of their youth. I helped Mary work through her concerns about fat and cholesterol and pointed to her current diet as the real culprit. In the few weeks we’ve been working together, Mary has started making some of the soups and stews that she ate growing up. She’s removed the soda from her diet. And she’s slowly starting to feel better. 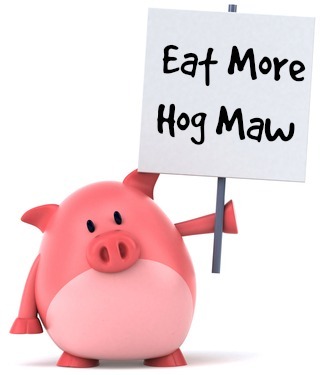 Of course, the point of this post is not that you should eat hog maw (though go for it if you really want). The point is to look more towards the foods that your grandparents or even great grandparents ate. Especially if you have digestive issues like Mary! Here you’ll find a much better model for what to eat and why. Food came from local farms and backyards. It was fresh, in season and prepared in time-honored ways that promoted good digestive health. I promise you your great grandparents were not vegans. Now this does not mean you have to go live on a farm or move to a commune. By working with these five pillars, your health can improve dramatically. You can overcome sugar cravings, lose weight and resolve many digestive issues. Of course, most of us did not grow up in Pennsylvania Dutch country. Or even on a farm. If you’re like me, you grew up in the suburbs eating Cheerios, Oreos, Cheese Doodles, Wonder Bread, Goldfish crackers, American cheese, skim milk, Doritos, Skippy, Campbell’s and well, I could go on but I’m sure you get the point. So I understand if some of the five pillars are not exactly traditional for you. That’s why I’ve designed a new online program for those that needs a soft and gentle approach to dietary changes. Kinda like Mary. I’ve worked with many clients through the years and I’ve found most don’t do well with seriously restrictive protocols. It just stresses them out. 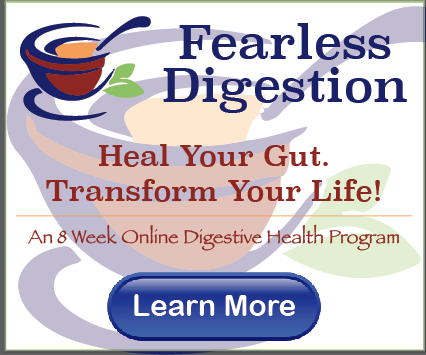 So if you need some help with all this, I’ve created an online digestive health program called Fearless Digestion: Heal Your Gut. Transform Your Life! 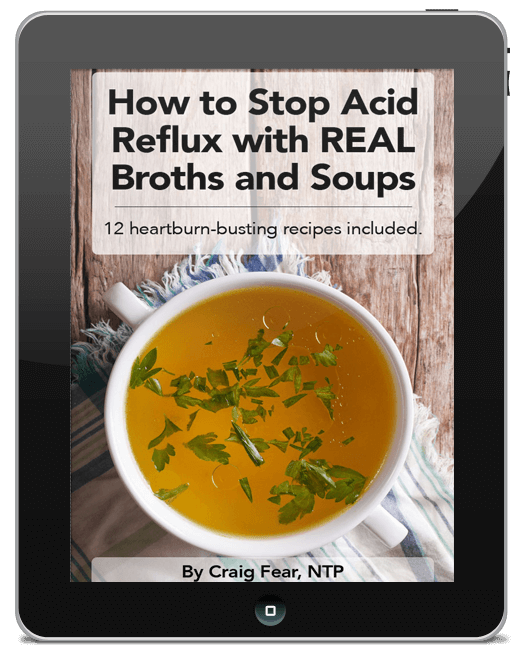 There are eight modules that work slowly and systematically to heal the gut. The first two modules start slow and works on getting sugar and processed foods out of the diet. After that, each of the five pillars of traditional foods is discussed in-depth with both recipes and cooking videos. You’ll learn how to make fermented vegetables, bone stocks, real fats, properly prepared dairy like yogurt and kefir and maybe even have fun in the process! And I promise I won’t make you eat hog maw.